You’ve shown us that you can style great looks for yourself, but what about the men in your life? Each day this week, you’ll be fantasy shopping for women’s and men’s outfits in our HIS & HERS style challenge! Head to Battleshop.co and create looks to complete for prizes. There’s a new competition (with a new winner) every day! Love this looks? Build your own with us today! Head to our Instagram account for shopping details. Adding clothes or accessories to your outfit with our Brand and Retailer of the Week is a great way to earn extra points in our style game. This week be sure to add something from Asos and Rockport to each Closet! Hollywood’s GOLDEN COUPLES will be out next Sunday for the Golden Globes but it’s YOUR week to shine at www.BattleShop.co! Design paparazzi worthy looks in our HIS & HERS Golden Globes Red Carpet shopping challenge until Friday. Channel your favorite celebrity couples while you fantasy shop for perfectly posh gowns and designer tuxedos for the big event with your $15,000 virtual budget. Which celebs can you see dressed in this orange Zac Posen gown and velvet Alexander McQueen tuxedo jacket? Head to BattleShop today and start your own HIS & HERS Golden Globes Red Carpet closet! Congratulations to our Sam C. Perry HIS & HERS Most Valuable Closets! Congratulations to BattleShop.co‘s TOP 3 Closets in last week’s Sam C. Perry HIS & HERS shopping challenge. Our MOST VALUABLE CLOSET goes to BRITTANY ARATA who wins a $100 AMEX gift card! Special shout-outs go to NOELLE BORRIELLO who wins a $50 AMEX gift card for coming in 2nd place and LISA ENGASSER who wins a $25 gift card for coming in 3rd place. 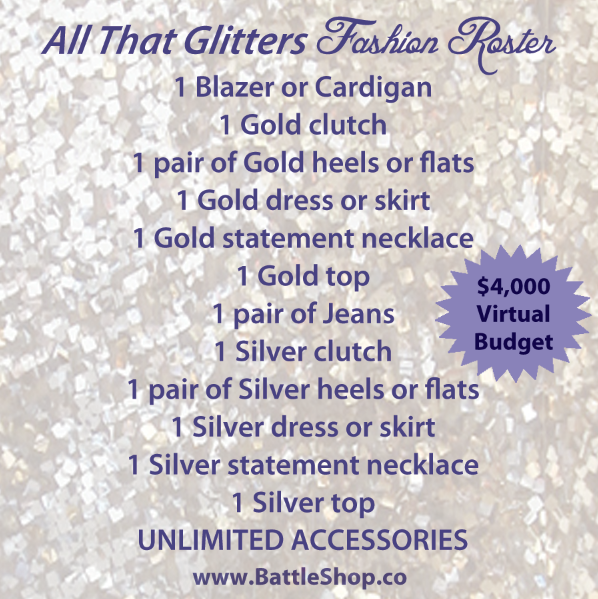 Head to the BattleShop LEADERBOARD and to see our winner’s closets and take stock of their fabulous style. Think you could take them? Start a new closet today and build beautiful silver & gold holiday looks in our All That Glitters shopping challenge until Friday! Congratulations to This Week’s Most Valuable Closet! 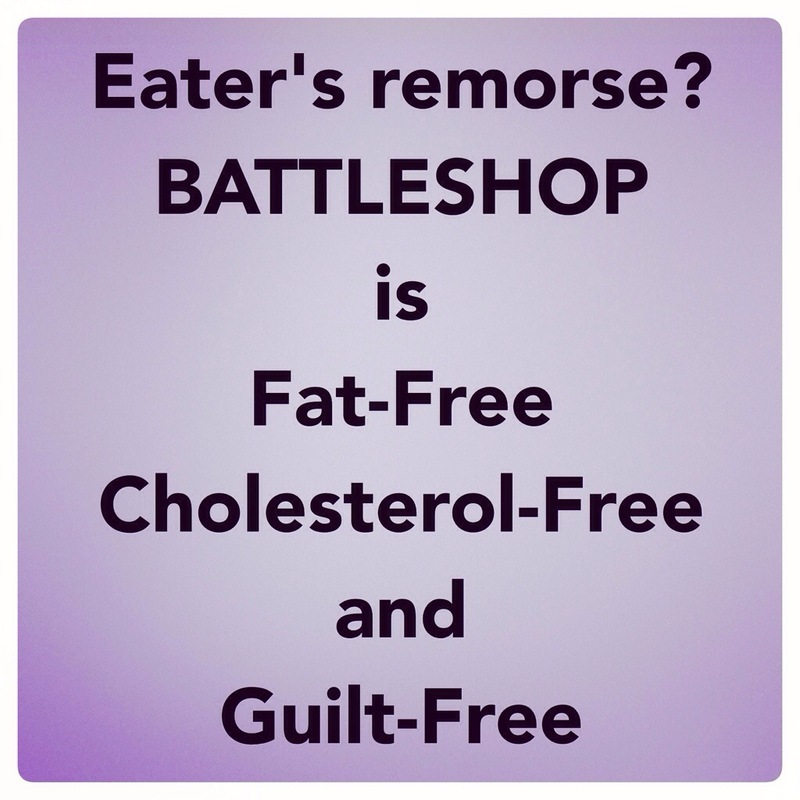 Having the BattleShop.co Most Valuable Closet this week wins LISA ENGASSER a $100 AMEX gift card! Special shout-outs go to PANDORASWAY2000 who wins a $50 AMEX gift card for coming in 2nd place and TYI ELLIS who wins a $25 gift card for coming in 3rd place. All three of this week’s FINALISTS win $25 gift cards to The Topping Tree. Check out their gorgeous handmade hair accessories. They make great holiday gifts! or view it on the BattleShop.co Leaderboard. Feel like you could win at fantasy shopping? Our HIS & HERS challenge designed by fashion blogger Sam C. Perry is in full effect right now. Use your $5,000 virtual budget to shop for a menswear look and a look for yourself. You could end up in the FINALS competing for $100, $50 and $25 AMEX gift cards! Head to www.BattleShop.co and start fantasy shopping today! Our guest fashion blogger this week, Sam C. Perry, created the greatest HIS & HERS closet yesterday. We love these casual looks he put together for date night or even to wear as laid back holiday looks but what we love most is his gorgeous choice in shoes! Think you can compete with Sam’s style? Head to www.BattleShop.co and start building your HIS & HERS dream closet today!